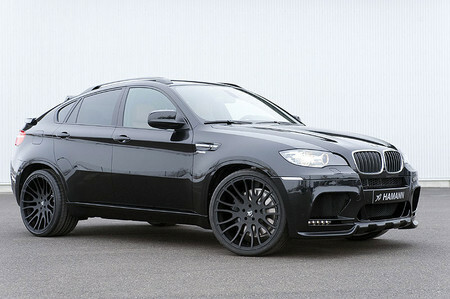 Hamann Motorsport’s engineers have gone totally mad with their latest assignment which is modifying the BMW X6M! You see the X6M is already fairly bonkers with a twin-charged 555hp V8, but the goal was to make something that goes head to head with Brabus’ overpowered SUVs. The result is this monster you see here, which has 670hp and 850 nm of torque. That is an insane amount of power in a high-riding SUV such as X6, but it’s been tweaked and modified to cope with it, so it can achieve a top speed of 295 km/h! That’s why Hamann offers massive 22 and 23-inch wheels with ultra-fat tires for this car, because if you loose grip in this thing going over 150 km/h, you’d had it!